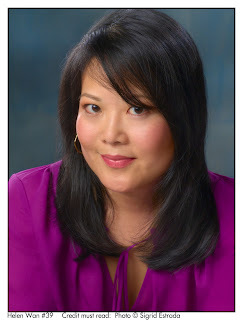 Visit Helen online at www.helenwan.com. 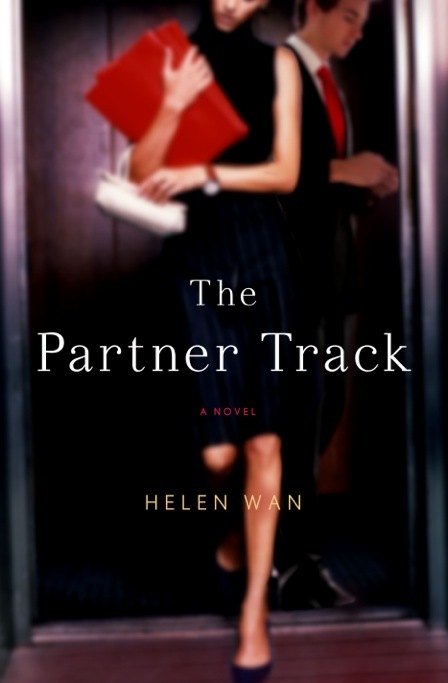 THE PARTNER TRACK is the story of Ingrid Yung, an ambitious young Chinese-American woman who’s being groomed to become the first minority female partner at one of the country’s most prestigious law firms. Though she often feels like an outsider, Ingrid has perfected the art of blending in. Then an incident at the firm’s summer outing threatens to change everything, forcing her to square off against her colleagues in a workplace war of race, gender, and sexual politics. What was your biggest challenge in the actual writing of this book? Plot. Plot, plot, plot. So many first-time authors – and I am no exception – know exactly what themes they want to write about. I wanted to write about the experience of a minority woman trying to succeed in a white-shoe work environment, to tell the story of what it’s like to be an outsider in a work context where it’s very, very important to be on the inside. But ask that same author, well, what’s the story, precisely? What happens? That was the hardest part to figure out. This novel went through so many iterations, so many drafts, over the course of a decade. Finally, one day, about four years after I’d first started writing it, my biologist husband was reading over a scene when he pointed at a line of dialogue. “Right here. This is what the book’s really about,” he said. I looked at the page and realized he was right. I completely revamped the plot from there. Just jettisoned about half my draft, which was painful. (It is painful to kill your darlings!) But now I had my plot. The story had been lurking there all along; what I’d needed was to locate that single loose thread. And then I just pulled. That’s easy: write the book you’d most like to read. I was not seeing any books being written about Asian American women that did not involve: (a) a soul-searching trip to China; (b) a flock of quaint-as-hell relatives; or (c) an arranged marriage. I’m am not denigrating novels that happen to include these plot points; in fact I myself enjoy them. I’m just saying I wanted to be able to read a contemporary novel about a minority woman whose perspective and experience were closer to my own. Finding none, I decided to write one. I’m at work on my second novel. It’s a lot of fun to get to know a whole new set of characters. It feels kind of like starting a new school year. I’m still at the “themes” stage – I know what I want to write about, but am still figuring out the story. And I also gave birth a few months ago to a beautiful baby boy. In my wildest dreams I never would have thought that a first book and a first baby would arrive the same year. But if you want to make God laugh, just tell her your plans.